Well kept Updated 2 bedroom 2 bath Patio Home. Very clean and updated with shutters through out, 2 tone paint, newer appliances that will convey, laminate and 20” tile with new carpet in the bedrooms, great patio with side yard, 2 car garage to the rear of the home with built in storage cabinets and opener. Dual energy home for more efficiency. Directions: RH Johnson North off Grand Ave to to 1st Left which is Limousine. Go to Heritage and turn left. Go to 16174 W. Heritage Drive. Approximate size: 2475.00 sq. ft. Please, send me more information on this property: MLS# 5911835 – $197,000 – 16174 W Heritage Drive, Sun City West, AZ 85375. 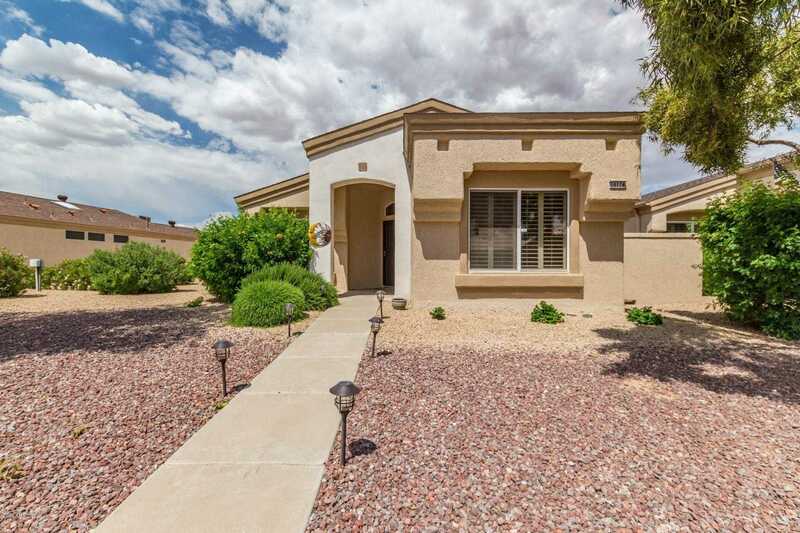 I would like to schedule a private showing for this property: MLS# 5911835 – $197,000 – 16174 W Heritage Drive, Sun City West, AZ 85375.